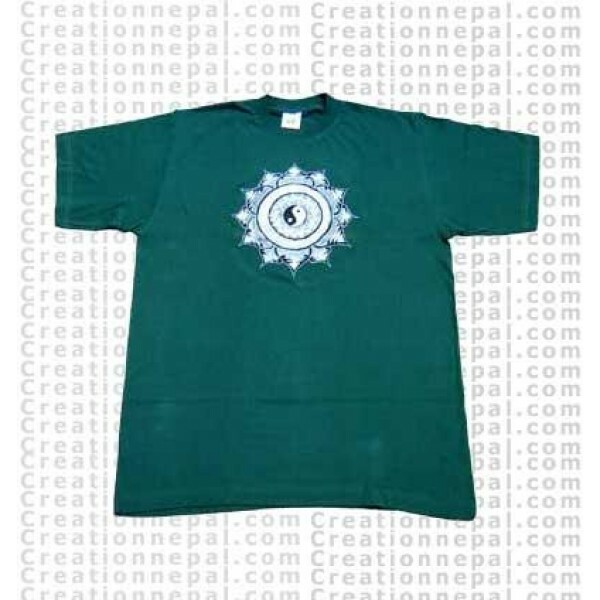 Beautiful Ying-Yang on Lotus design embroidered short sleeves round-neck cotton t-shirt. One can request different color mentioning at the comment box; available colors are Black, Blue, Green, Grey, White, Red, Yellow, Orange, Maroon, Purple and Turquoise. Since the t-shirt is entirely handmade; No two are alike; hence there can be slight variation in the given detail.